SRINAGAR: The Jammu and Kashmir Legislative Assembly today passed the state GST Bill 2017 amidst opposition boycott, making it the last state of the country to join the new tax regime. 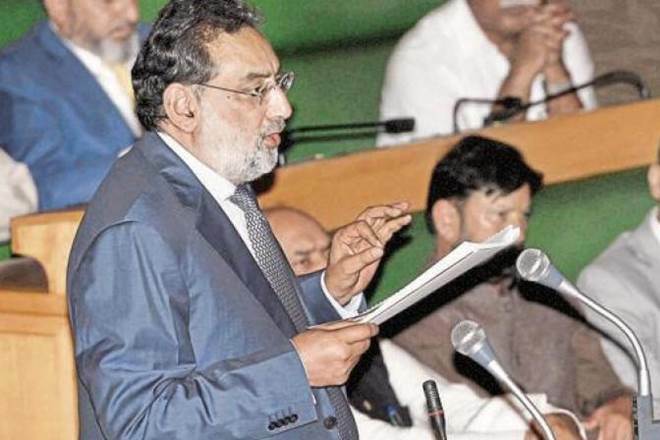 The bill entitled the Jammu and Kashmir Goods and Services Tax Bill 2017 moved by Finance Minister Haseeb Drabu was adopted by a voice vote as all opposition members decided to boycott the proceedings, accusing the government of undermining the special status of the state by seeking a presidential order for extending the GST regime. Drabu said the GST regime will roll out in the state at midnight tonight, making Jammu and Kashmir the last state to join the new tax regime. Before moving the bill for consideration and passing by the state assembly, Drabu read out the contents of the presidential order pertaining to the special status of the state and its exclusive taxation powers. “Although there is no tradition of tabling a presidential order in the assembly, we are starting a new tradition in the democracy of the state by tabling this presidential order in the House. “Notwithstanding anything contained in this order, the powers of the state of Jammu and Kashmir as per Section 5 of the Constitution of Jammu and Kashmir, shall remain intact,” Drabu said. “The legislature of the state of Jammu and Kashmir shall have the powers to make laws with respect to goods and services tax levied by the state,” Drabu read from the excerpts of the order pertaining to the special status and exclusive taxation powers of the state. The legislature of the state of Jammu and Kashmir shall have exclusive powers to make laws in respect of imposition of any taxes enabled by section 5 of the Constitution of Jammu and Kashmir, he added. Notwithstanding anything contained in clause 4 to clause 11 for the purpose of any decision impinging on constitutional provisions relating to the state of Jammu nand Kashmir, the concurrence of the representative of the state of Jammu and Kashmir in the Goods and Services Tax Council shall be mandatory and the procedure provided under Article 370 shall be followed, the presidential order reads. It adds that nothing in this article shall affect in any manner whatsoever the legislative competence of the state of Jammu and Kashmir as guaranteed by virtue of Section 5 of the Constitution of Jammu and Kashmir . After completing the other legislative business listed for the day, Speaker Kavinder Gupta adjourned the House sine die.